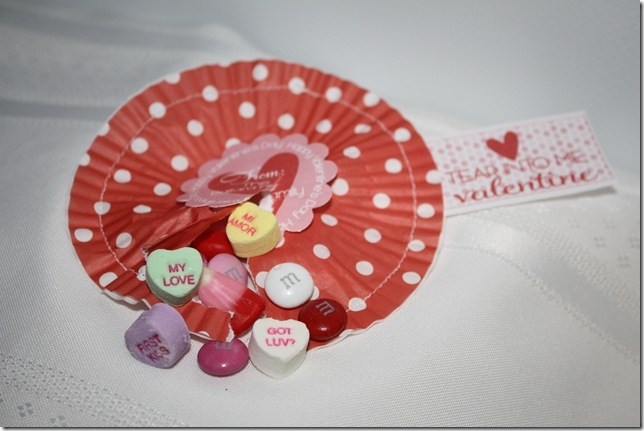 Sisters with Stuff: Really cute and inexpensive Valentines out of cupcake liners! 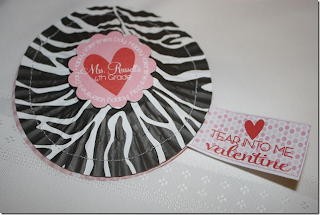 Really cute and inexpensive Valentines out of cupcake liners! I love these and they look so easy to make. 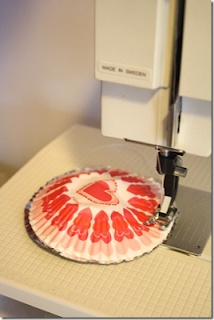 One of my wonderful creative friends shared this with me, here's her photos and tutorial! 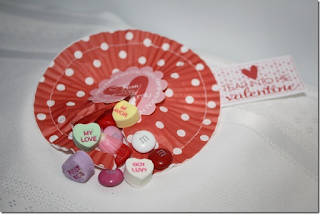 Here is a last minute Valentine candy pouch idea using supplies you already have in your cupboard. 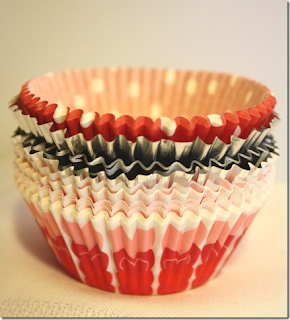 You may have seen similar candy pouches on Pinterest, but a quicker and cuter way to do it is with left-over cupcake liners (even the dollar store has cute seasonal ones you could purchase.) These were left-over from Christmas and my daughters recent Glam Cupcake Birthday Party. If you haven’t tried sewing on paper, you are going to become addicted, so fun and a lot cheaper than fabric...lol You could even sew a long ribbon onto these and make it a candy necklace. 5. Hot glue a center tag if you wish? 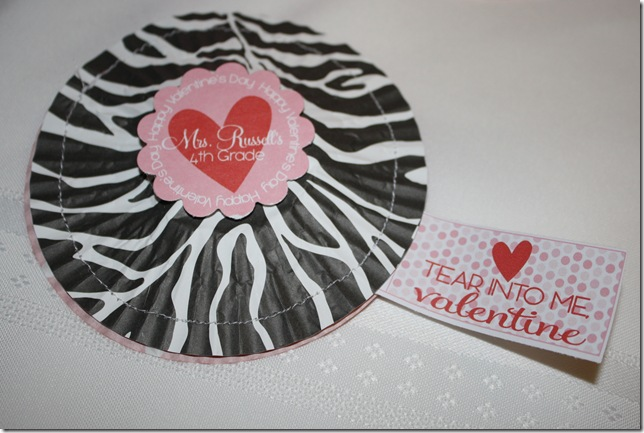 (This tag was designed by www.preppylaneboutique.com with my daughter’s teacher and year in school.) If you aren’t familiar with www.preppylaneboutique.com, you should definitely save this link. You will not find a more delightful person to work with or a more affordable custom printable shop on the web...LOVE HER! 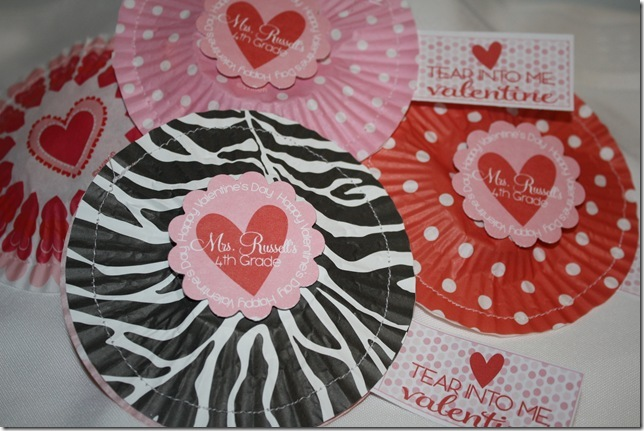 The kids are going to have a super fun time tearing into these for a Valentine treat sure to make every kid smile!